Back for a fifth year, the Perfect Portraits Photo Contest is your opportunity to submit the best portraits in your portfolio for your chance to win big! 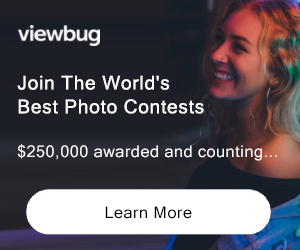 The First Place Prize Package includes $500 cash and publication of the winning photo in Digital Photo magazine — along with other great prizes! Online publication of the winning photo in the Winners' Gallery ELIGIBILITY: USA / 18+ Not eligible to enter? - Find contest where you are. COPYRIGHT: Entry must be the original work of the entrant and entrant must be the sole owner of the copyright of such entry USAGE RIGHTS: By submitting an entry, entrant grants Sponsor and its designees an irrevocable, royalty-free, non-exclusive, worldwide perpetual license to use the entry and his/her name, city and state of residence for credit purposes in Sponsor's online galleries, without further compensation, notification or permission, unless prohibited by law. In addition, each winner grants to the Sponsor and its designees an irrevocable, royalty-free, non-exclusive, worldwide perpetual license to use and distribute the entry [(as submitted, or as cropped by Sponsor)], and his/her name, city and state of residence for credit purposes, in any and all media now or hereafter known, including without limitation in Digital Photo magazine, for purposes of promotion of this Contest and other Sponsor's contests and/or for purposes of advertising and promoting Sponsor and, except as otherwise stated herein, without further compensation, notification or permission, unless prohibited by law.